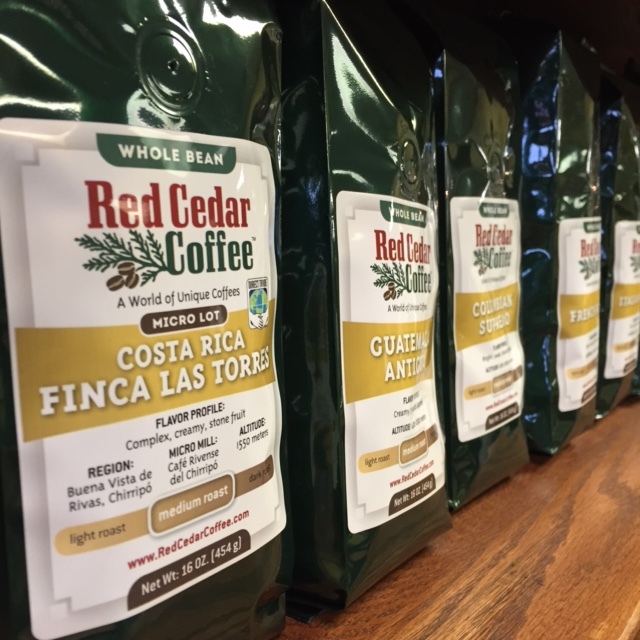 Red Cedar Coffee Co. offers retail sales in the Tasting Room at our Berea, Ohio roastery with an ever-changing selection of freshly roasted coffees. While we’re not a coffee shop, we’ve always got coffee brewed for tasting. We recommend that you phone ahead if there is a specific coffee you would like to pick up. In addition to freshly roasted coffee, we offer a selection of artisan brewing systems, including Chemex, Hario, and AeroPress. Can’t make it to our Tasting Room? 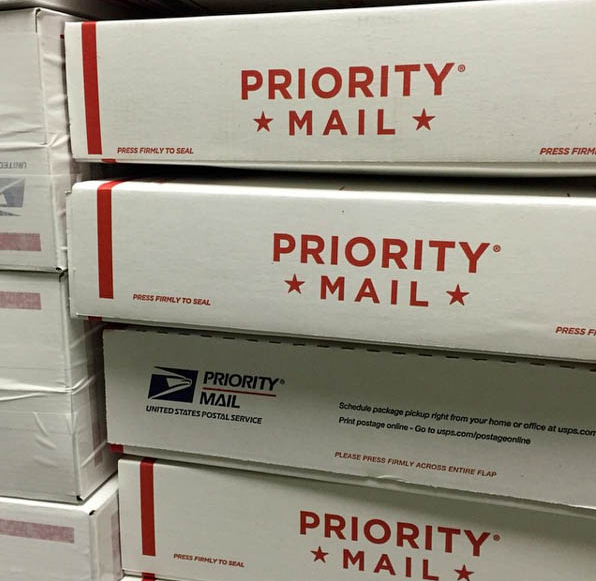 We can ship your coffee directly to you with our Mail Order program. If you are unable to visit our Berea, Ohio roastery’s Tasting Room, where we offer retail sales to the public, our coffees are available through mail order in one pound packages. 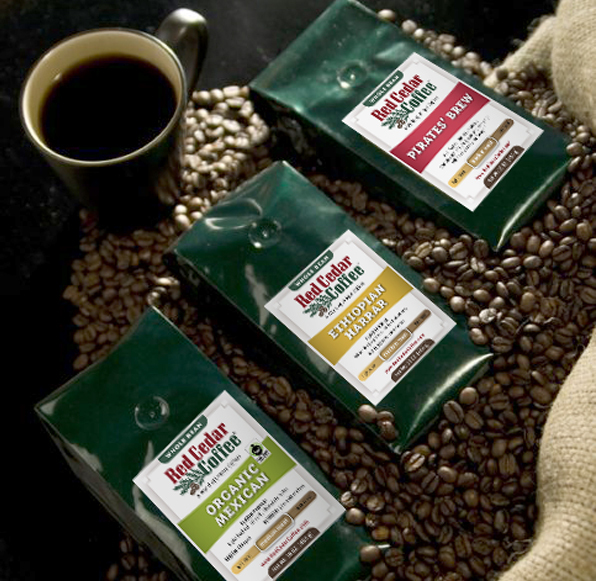 We roast fresh to order and ship nationwide via US Priority Mail. You may submit your order via fax or telephone, or mail your order using the online Mail Order Form. Currently we are only shipping coffee. We are unable to ship grinders, brewing methods and ceramics at this time. We offer a selection of gift sets for corporate gifts and employee appreciation. Visit our Corporate Gift page for our Corporate Gift Selection. We can customize larger quantities of gifts for corporate giving. Please phone us for more details, and place your order at least 30 days before your holiday or event. 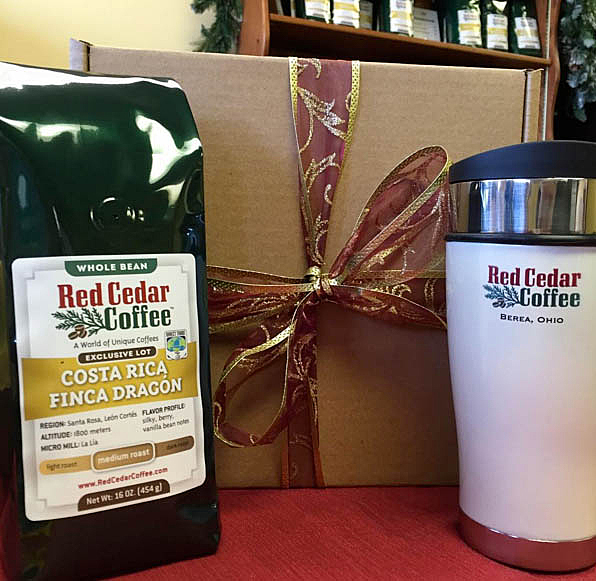 Red Cedar Coffee Co. has the perfect items for your event or wedding. Our most popular item is our Single Pot Pack of coffee. The smaller size bag can be special ordered for wedding favors and welcome gifts. Please read Terms & Conditions before ordering.